Gas springs and More! 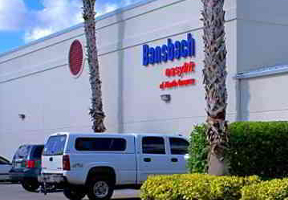 | Bansbach Easylift of North America, Inc.
Bansbach easylift® was founded in 1919 as a manufacturer of stamping tools. With over 90 years of experience in production we have evolved into a worldwide premium supplier of gas springs, linear hydraulic actuation systems, special pneumatics, hydraulic pumps, dampers, and more. 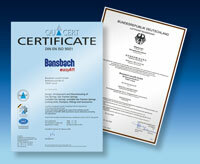 Bansbach easylift® is ISO 9001:2008 certified, ITAR Registered, and EASA Part 21G Form 1 certified. Used in a wide variety of industrial applications, easylift® gas springs cover a broad range of both dimensions and forces which can be easily adapted to meet individual requirements. Besides the automotive and furniture industry, there are innumerable applications in the machinery and equipment design. We can also offer special solutions to meet the requirements in the medical and aircraft industry. The continuous production of special sizes and our extensive stock enable us to meet nearly all requirements within a remarkably short lead time. When considerable forces influence moveing construction parts, reliable locking is vitally important. The piston rod of the lockable easylift® gas springs can be adjusted to any required position along the whole stroke by actuating the release pin. Our lockable gas springs can be easily adapted to suit a wide variety of applications. All of our lockable gas springs share the same positive characteristics of low friction forces and high reliability as our standard gas springs. Bansbach easylift gas traction springs are available with your requested compression force and specified features. All features, such as end damping and length, can be customized for your application needs. Our standard and lockable gas traction springs can help to solve many structural requirements in various technical fields. MC-dampers (motion control) is the generic term for special damping products used for many different safety and operating functions to slow down dynamic masses and absorb heavy impacts thus reducing mechanical vibration. The linear layout of the motor, gear and, spindle in our easyE® line, provide a very slim design for installation. These actuators fit into nearly every application with outer diameters of 35, 50 and 60 mm. Synchronized adjustment and battery powered mobility are options that are possible with load handling up to 10,000N in the easyE-60 model. An alternative to the linear adjustment with Bansbach gas springs is our linear hydraulic actuation system which controls multiple adjustment cylinders synchronously. This is achieved by simultaneously controlling each cylinder. Easymotion can be easily customised to deal with a wide range of applications with variations in both weight and multiple legs. Bansbach's comprehensive line of end fittings include hinge eyes, clevises, elbow joints, ball sockets, and more. Our range of end fittings are designed to fit nearly any mounting requirement. Our connecting parts guarantee movement and force transfer in a precise and controlled manner. Bansbach rotary dampers and dashpots are used to dampen drives, control speed, and many other applications. Our rotational viscous dampers are maintenance free and are the most durable units on the market. Bansbach silicone oil viscous dampers are available in either fixed rate or adjustable models. Bansbach's industrial shock absorbers are a superior alternative to coil springs or rubber bump stops for energy absorption and linear deceleration. We offer many different models from mild to extreme. Our shock absorbers are the perfect solution for a wide range of applications, from a simple cabinet door, to the corrosive environments of the medical field, or the extreme environment of industrial machine equipment. Bansbach gas springs are manufactured from the highest quality, environmentally friendly materials. Consistent quality is guaranteed because of diligent monitoring of raw materials, an aggressive testing program and a stringent quality control program throughout the production process. Re-ordered products are consistently produced accurately by using our technologically advanced manufacturing processes. We Manufacture Your Gas Spring! The Bansbach gas spring configurator offers you the advantage of designing your gas spring from a wide range of in stock components. You can find detailed product information in our Catalog.